Beautiful colorful light bulbs suitable for changing the theme of your home! Pick up your phone, or your tablet, control your bulbs immediately. You want take a nap or create a romantic atmosphere? Create them as you wish. You can adjust the brightness, set scenes and schedule. Moreover, you can make a voice command with Amazon Alexa to manage your devices. You can also create a group for all your smart devices and control them all in one command. 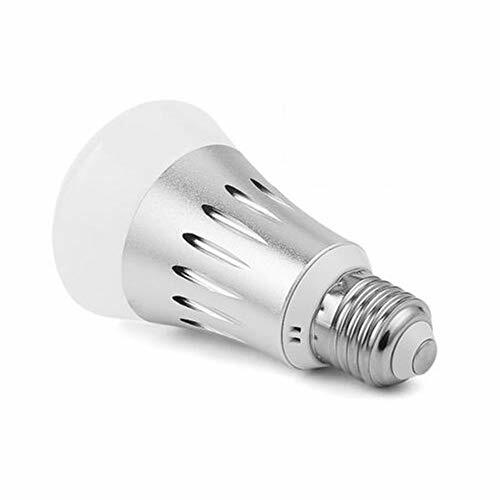 ★Works with Google Home★ Connect to Google Home perfectly, you will control this smart bulb dimming and color settings with your voice. ★Multi Color and Scenes★Create your favorite light effects with 16 million colors and the brightness of every color is dimmable.Moreover, there are 8 different scenes to choose from. ★Timer Function★Schedule your WIFI Bulb to turn ON/OFF at preset time .Wake up and fall in sleep with your favorite light color. ★Group Control★Take control of your lights from anywhere with your smartphone or tablet.You may control the light individually or create different groups to control the light in a group. If you have any questions about this product by Linkyours, contact us by completing and submitting the form below. If you are looking for a specif part number, please include it with your message.